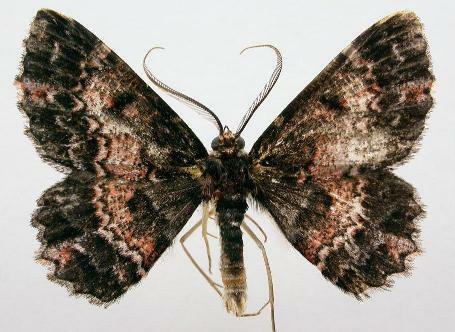 The adult moth of this species has a complex dark brown and red pattern on each wing sometimes transected by a broad irregular pale band, and sometimes also with a pale mark in the middle of the margin. The wingspan is about 3 cms. Entomological Society of Victoria, 2017, update 57. Part 26 (1863), p. 1544.